Hailed in Architectural Digest as “Today’s Tastemaker,” Timothy Corrigan’s work is showcased in some of the world’s most extraordinary properties with clients including European and Middle Eastern royalty, Hollywood celebrities, and corporate leaders. 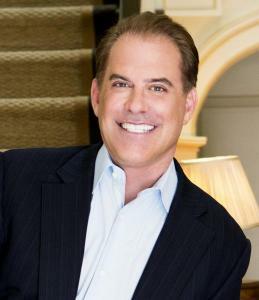 With offices in both Los Angeles and Paris, his distinctive design philosophy of comfortable elegance in architecture, restoration, and interiors has been featured on television and in such prestigious publications as: Elle Decor, The New York Times, Town & Country, Veranda, House Beautiful, Vanity Fair, ogue and The Wall Street Journal. Timothy has been named one of the world’s top 100 architects and designers by Architectural Digest for the past nine years, and one of the World’s Top 40 Interior Designers by The RobbReport. In March 2014, he received the “Star of Design” award from the Pacific Design Center. Rizzoli published his first book, An Invitation to Château du Grand-Lucé. Timothy recently introduced the first fully integrated line of fabrics, trims, furniture and floor coverings for Schumacher and Patterson, Flynn & Martyn, as well as a tabletop collection for Royal Limoges. His line of bath fixtures for THG Paris will debut in 2015. Prior to forming his design firm in 1998, Timothy Corrigan had a successful career in advertising where he headed up Saatchi & Saatchi’s Bates Worldwide’s international operations.